This DC night tour is a duration of 3 hours. Stops include popular site such as The Capital, White House, World War ll Memorial, Vietnam War Memorial and the Abraham Lincoln Memorial. This DC night tour is a duration of 3 hours. Stops include popular site such as The Capitol, White House, World War ll Memorial, Vietnam War Memorial and the Abraham Lincoln Memorial. We will spend approximately 15 minutes at each of the stops. Time at each site may vary. 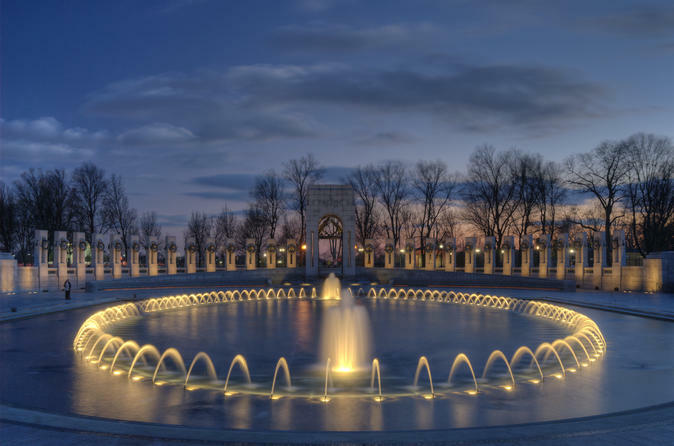 This tour travels down Pennsylvania Avenue and includes major landmarks such the National Gallery of Arts, the Newseum, the National Archives, the Navy Memorial, the Justice of Department, FBI Building, Old Post Office Pavilion as well as the Freedom Plaza. Tour departs from 400 New Jersey Avenue NW, Washington DC 20001. Please arrive 30 minutes before scheduled tour departure.